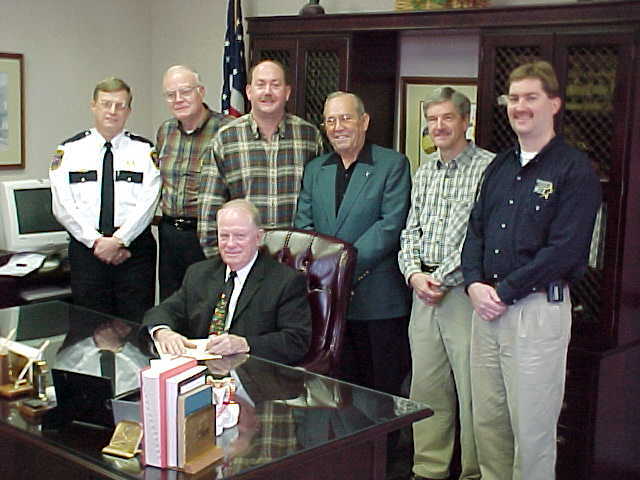 The Humphreys County Emergency Communications District (911 Board) was created by referendum in 1988, and its original 9 members were appointed by the county commission. The board enacted basic 911 (you could dial 911 to reach a dispatcher, but no caller information was relayed) shortly after its inception. The board worked hard for several years addressing the county in preparation for enhanced 911 which provided information to the dispatcher including call-back number, name, address and responding agencies. The system became enhanced in 1992. The Waverly Police Department was designated as the Primary PSAP (Public Safety Answering Point) for the county and calls outside of the city or for medical assistance were manually transferred to the Sheriff's Department's dispatchers and/or the Ambulance Service. A plan to consolidate the Sheriff's Dept and Police Dept dispatchers into one operation was looked at along the way and things began to fall into place. The 911 Board, which is funded exclusively by the emergency telephone surcharge, sought a rate increase in 2001 to make the consolidation a possibility. The board hired a 911 Director in April of 2001 and the increase was granted beginning November of the same year. The last piece of the funding needed for the consolidation was contributions from local government in order to operate the center and to staff it adequately. The Humphreys County Government, along with the Cities of McEwen, New Johnsonville and Waverly all agreed to cost share along with the 911 Board on the employees salaries, while the 911 Board would pick up the rest of the operating expenses. The inter-local agreement required to begin the operation passed with unanimous votes from each of the boards. After much preparation, at 7:00 a.m. on November 1, 2001, the 911 Board began operation of the central dispatch center. The board leased space from the City of Waverly and the city began a renovation of the police department building to include space for the 911 Center and the County's Emergency Operations Center. The building was occupied in May of 2002. The 911 Board funded significant upgrades to the technology and equipment needed for the new operation which included a 150' radio tower at the 911 Center, new radio console equipment, a Computer Aided Dispatch system to replace the old paper records, new logging recorders, etc. All of this equipment was purchased from reserves and no debt was incurred in equipping the center. A state of the art computerized mapping system was purchased in 2002 with grant money from the State 911 Board and made Humphreys County one of the first counties in the state to be wireless phase II compliant (have the ability to locate 911 callers from wireless phones). Additional state grants help offset the costs of dispatcher salaries and partially fund the Addressing/Mapping Coordinator who is responsible for updating and maintaining the mapping and addressing systems. 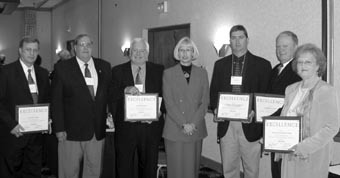 On September 25, 2003, the 911 Board along with each of the participating local governments was awarded the Excellence in Public Safety Award from the Greater Nashville Regional Council for outstanding cooperation in consolidating the emergency communications functions in the county. The 911 Board and its Staff is committed to providing the best service possible to the citizens of Humphreys County and will be actively monitoring future developments in the 911 Industry. Future challenges include funding 911 service and major technological changes such as Voice over IP and telematics, and their impact on providing service to Humphreys County.